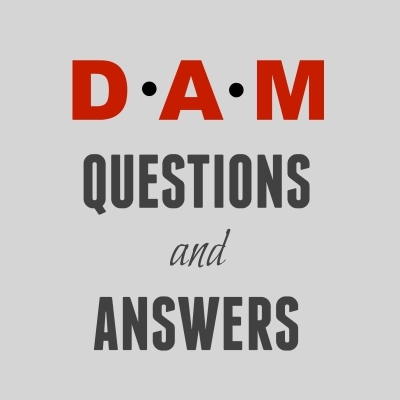 If you have questions, or are looking for answers for whatever you're concerned about D.A.M. Quick Fishing Reels, then this page is just for that. We continuously receive questions about these DAM fishing reels, and this is where we've added most of them. Feel free to scroll through to see if any of the questions and answers are relevant to your needs. If not, then go ahead and submit your own questions. You'll see links down below as you scroll that will read "Join in and write your own page!..." If you see any questions that you would like to answer, or provide any additional information to, then click on any of the links below that particular question and answer(s) (if any answers have been given) and proceed from there to submit your statement. The link will read "Click here to post comments" which will open up on a separate page. Your comments, as well as comments submitted by others, will be posted upon our approval. The approve/disapprove process helps eliminate spam related comments, allowing for a better user experience for you and the rest of us. Shop here for new DAM Quick reels or look for replacement parts. Have a D.A.M. Quick Question? Do you have a question about DAM Quick fishing reels? Ask away! Hi. Just purchased a DAM AFC6000. Is it good, and what's the market price? I came across a Dam Quick Super. I was just wondering if they still make them? And if there is any value to it? How Old Are These D.A.M. Quick Fishing Reels? Can anyone tell me why this model is so expensive? Did they make that few, and if so, how can I tell with the serial number? Thanks. Where To Buy New DAM Quick Reels?